In 2016, LegendBorne landed a huge contract in the obstacle racing industry as the official jersey designer for the OCR World Championships. 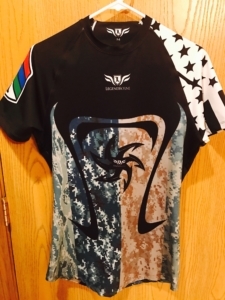 Many in the obstacle racing industry assumed that the company was new and even voted the country jerseys as a finalist at the end of the year OCR Awards for best new product. However, LegendBorne has quietly been a staple for many teams or regional groups in the obstacle racing industry for years. This month the company marked their fourth year in the industry. It all started with OCR enthusiast Michael Bacon was at an Army National Guard Drill Weekend. David Bryant was an officer in his unit and ask Bacon about some strange bruises he had on his body. Bacon quickly started to talk about the world of obstacle racing, talking about the races he did, and then the clothing he wore during the race. This piqued Bryant's interest as he had contacts with the UK company Akuma USA, makers of fitted rugby jerseys. Shortly after Bryant had the idea of bringing the rugged construction and designs of Acuma USA to obstacle racing. It started with the former leader of the Cornfed Spartans, Jonathan Nolan and Heather Hannin. Bacon, Bryant, Nolan and Hannin worked together in 2012 to create the first “uniform” for an obstacle racing regional team. Bryant saw a need to create identities around the teams that were forming in the industry. While working for with Akuma USA, Bryant helped bring uniform tops to other teams such as the New England Spahtens and beyond. Soon Bryant saw that although Acuma USA was making a good product, he started to see the needs that OCR athletes specifically needed in a jersey and decided that he would venture off with his brother John Bryant to create a new company to meet the needs that these regional teams had in the industry. On January 2, 2013, LegendBorne officially turned on the lights. David and John Bryant along with Chris Gillispie took the knowledge they had learned since 2011 and turned it into a company. Michael Bacon came on board with them to help continue to promote the new team jersey's in the OCR market. 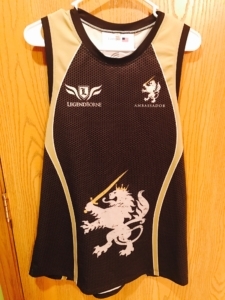 The team at LegendBorne knew that they could improve upon the old Acuma jerseys and set out to create a product that would withstand the rigors of obstacle course racing. 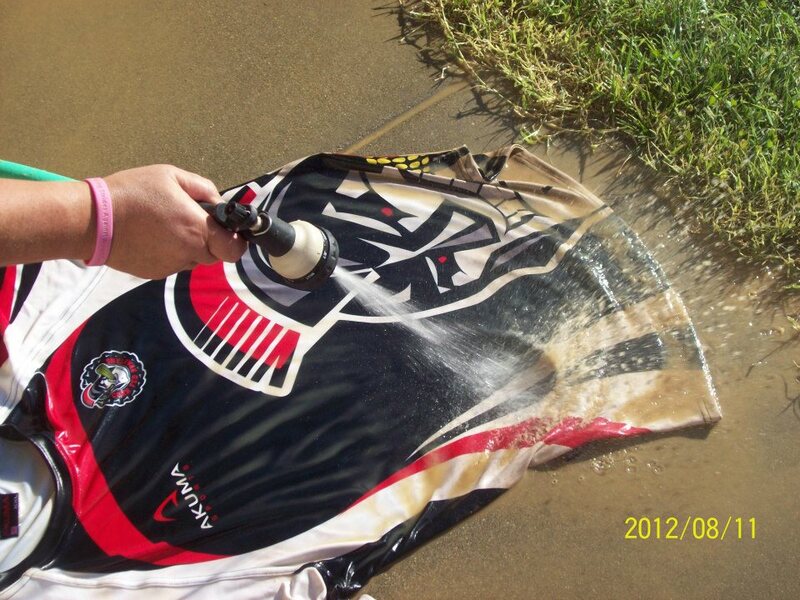 The team created a product that would not rip to shreds during one race and not stain and ruined after just one race. With David, John, Chris, and Michael all being veterans creating an American company was important to the founders. The team found a company to produce the garment in the United States, and the jerseys and other products are all sewn in the United States as well. 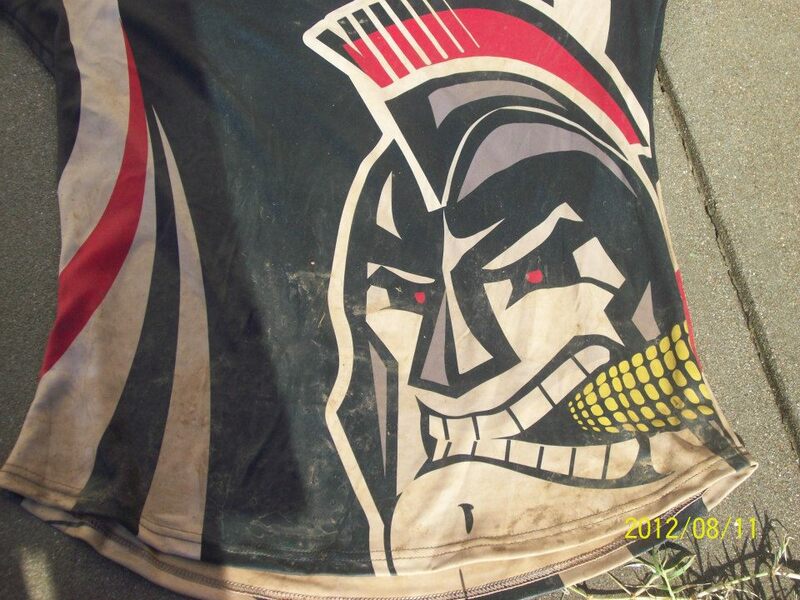 Shortly after launching LegendBorne started creating unique designs for OCR teams around the country. LegendBorne embodies the idea of a grassroots company. Since that meeting during a drill weekend between Bryant and Bacon, the company has continued to be a family business. The company is owned and run by David Bryant, John Bryant, and Chris Gillispie. The three employ two other employees and work with anywhere from two to twelve designers to help create the unique jerseys. LegendBorne ambassadors round out the team family and are selected from the OCR Community for their support of the sport. Additionally, LegendBorne works with a team to create the unique fabric of the jerseys and tailors all based in the United States. 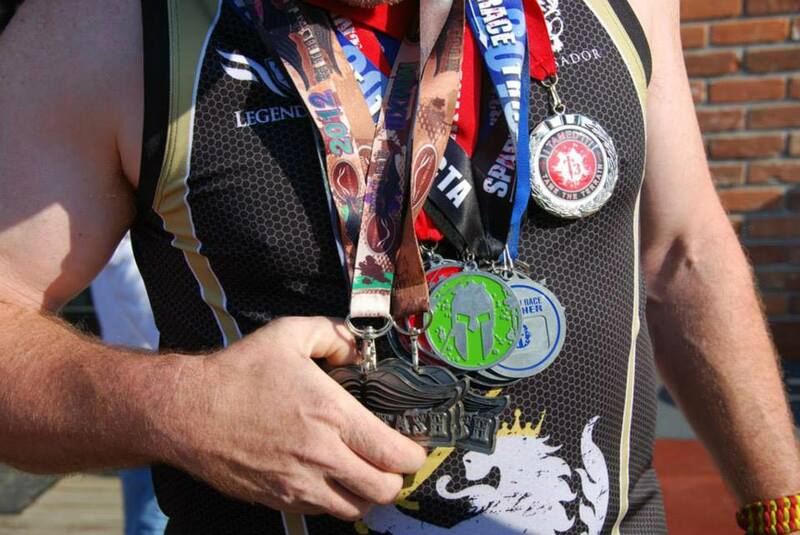 All members of LegendBorne believe not only in the product that they produce but also the sport of OCR. 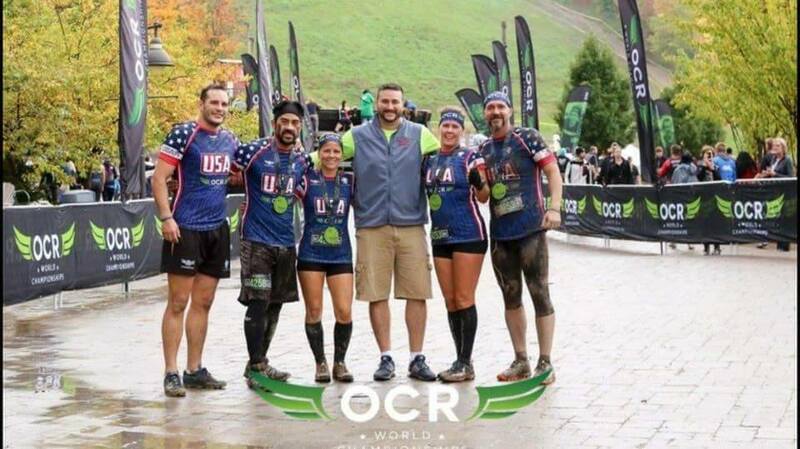 Since David Bryant's initial introduction to OCR through Bacon, he has become a fan of the sport and encouraged all of the company to participate in OCR including one of his interns. One of his interns ran the Make-a-Wish fundraiser race at the 2016 OCR World Championships and came back to the office with new ideas for products. In the sea of choices for OCR gear, the biggest question is always, what makes one product different from the rest. For LegendBorne they strive to continue to make innovations to their material and construction to withstand all that a course throws at it. The first generation of fabric for the jerseys took nearly 11 months of research and development to create. Giving it real world testing every step of the way. The OCR particular garment is a proprietary polyester blend designed and built for the mud. The company is currently on generation 8.5 of the material and have hinted at further improvements for 2017. The biggest innovation to their jerseys has been the chip-in pocket which allows racers to place a timing chip in a small pocket inside the garment while racing. This came after the team and ambassadors talked about losing timing chips on course. Before launching it on the market, this pocket tested by both the core team as well as LegendBorne ambassadors. 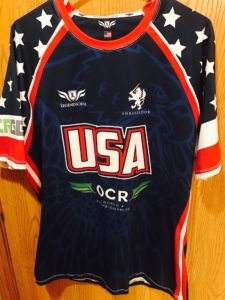 It is because of these unique features and rugged construction that LegendBorne hit it big when they won out in bidding for the official jersey of the 2016 OCR World Championships. This is something the whole team at LegendBorne is very proud. Currently, LegendBorne works with about dozen OCR regional groups. David Bryant firmly believes that he wants every LegendBorne jersey sold to be the last OCR top that participants will ever have to buy. His goal and the goal of the company is for the garments to last a lifetime, even under extreme conditions. The team at LegendBorne is currently working to create a new host of items in 2017 for the OCR crowd expanding the line of products for those who want something other than a full jersey on race day. Much of the new ideas came from members of the team and the LegendBorne ambassadors observing the trends in the OCR industry and their experience running races. Bryant said during an interview that LegendBorne is always striving to be better. He also said we all want to belong to something, something bigger than ourselves. Whether it be a regional OCR team (or in his case experience in the National Guard), we all want to be part of something. Bryant believes that by helping create the images of so many OCR teams both in the United States and now around the world that we can be the change we want and for him and LegendBorne they are helping teams create unique identities in the obstacle racing industry.